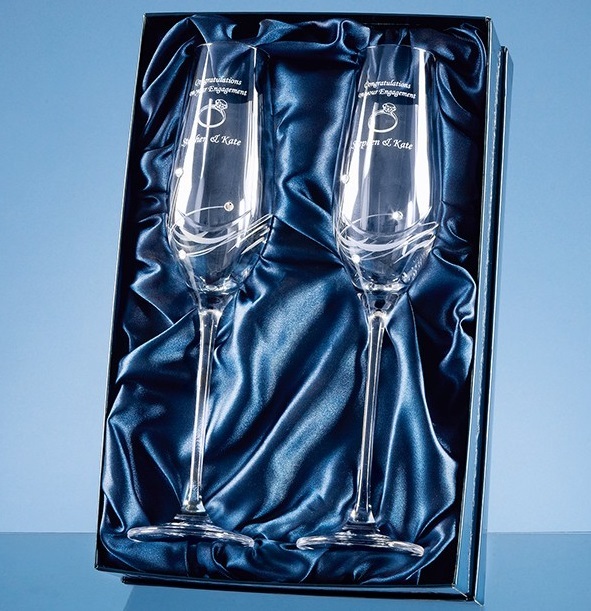 A Pair of Engraved Champagne Flutes with Swarovski Crystal detail. The Diamante Crystal champagne flute set would make an ideal engagement, wedding or anniversary gift. The set comprises of 2 lightly cut crystal champagne flutes that have 3 Swarovski crystals bonded to the side of the flute.